Can‘t remember the last time we saw Paula Patton, 42, looking this happy. She’s got a new man that she’s crazy about – she calls it a “suburban romance.” Her guy, Zach Quittman, 37, is a Beverly Hills realtor. She got to know him at their kids’ ball games where parents gather. Paula and her ex husband Robin Thicke have an eight year old son Julian. Robin turned out to be a real jerk but they are co-parenting in a civilized manner. Robin’s 18 years younger girlfriend April gave birth to a daughter Mia in February. 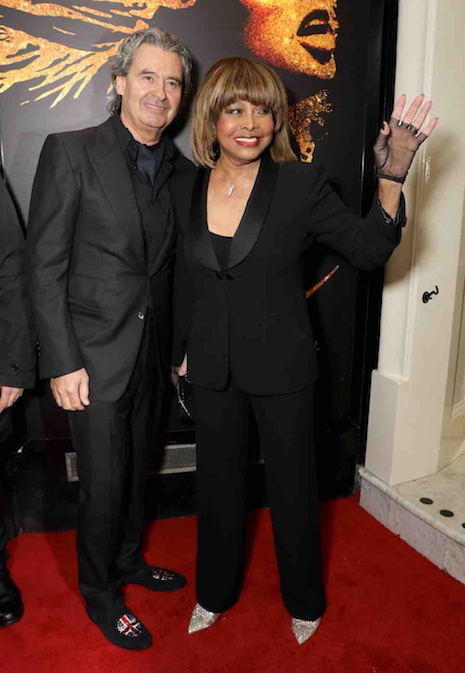 The fabulous Tina Turner (and her longtime companion Erwin Bach) has every reason to smile because the new musical based on her life opened in London to great reviews. Tina: The Tina Turner Musical is described as a jukebox musical (our favorite!) and it has the same female musical director as Mamma Mia. Tina’s shoes are really hard to fill, but singer/dancer/actress Adrienne Warren is described as SO delicious playing Tina, (second photo) that it’s expected to propel her into superstardom. The current #MeToo movement makes the tale of Ike Turner’s abuse and Tina’s eventual solo success even sweeter. We can hardly WAIT to see this!